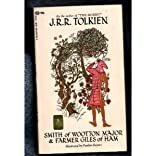 Two of Tolkien's most popular and charming stories, full of wit and humour, available together for the first time on CD. Smith of Wooton Major tells of the preparation of the Great Cake to mark the Feast of Good Children and the magical events which follow. Leaf by Niggle recounts the strange adventures of the painter, Niggle.